A MURDER TRIAL witness has denied that she told “devious” lies and added ”poison” to her statements about her former lover who is accused of murdering her boyfriend. 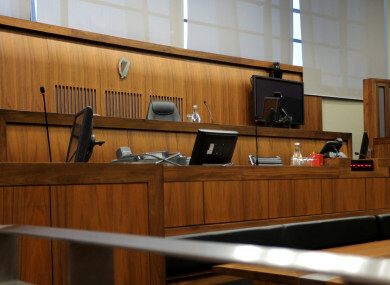 Mary Lowry (52) is on her second day of cross examination in the trial of Patrick Quirke (50) of Breanshamore, Co Tipperary who has pleaded not guilty to the murder of 52-year-old Bobby Ryan – a DJ known as Mr Moonlight – on a date between June 3, 2011 and April 2013. Ryan’s body was found in a run-off tank on a farm owned by Ms Lowry and leased by the accused at Fawnagown, Tipperary in April 2013. Lowry told defence counsel Bernard Condon SC that she had told the truth and the whole truth in her statements to gardai and in her evidence to the jury. Lowry said she had told the truth to the best of her ability. Ms Lowry is continuing her cross examination in front of Justice Eileen Creedon and a jury of six men and six women. Email “Murder trial witness denies telling 'devious' lies and adding poison to her statements”. Feedback on “Murder trial witness denies telling 'devious' lies and adding poison to her statements”.